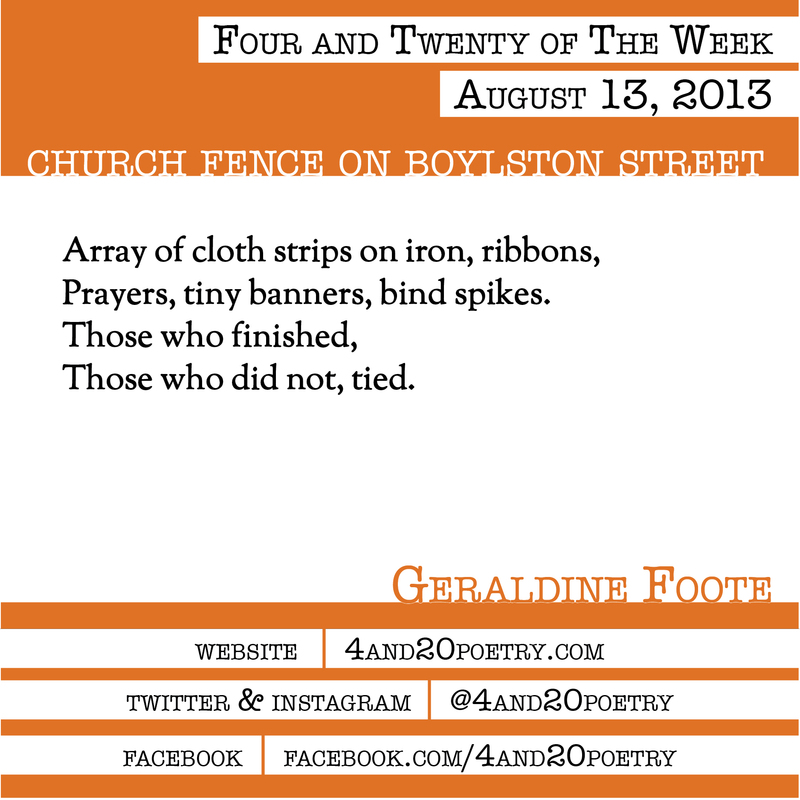 Geraldine Foote is the creator of Peace Leaves, letter-pressed poems. A high school teacher for twenty-five years, she helped to found the Pacific University MFA in Writing program. She recently visited her son in Boston. This entry was posted on Tuesday, August 13th, 2013 at 4:20 am and is filed under Four and Twenty of the Week, Micro Poetry, Poetry. You can follow any responses to this entry through the RSS 2.0 feed. Both comments and pings are currently closed.